(Orlando, Fla. — June 5, 2018) The International Parking Institute (IPI) celebrated the achievements of 21 new CAPP graduates at the IPI Conference & Expo in Orlando during a special ceremony June 5. This year’s new CAPPs come from private and public parking organizations that include universities, cities, corporations, commercial operators, consultants, and technology providers. CAPP, recognized worldwide as the leading credential in parking, is administered by IPI and an independent board, in partnership with the University of Virginia. The CAPP curriculum covers such topics as parking design; rehabilitation and maintenance; finance, revenue control, and auditing; on- and off-street parking enforcement and adjudication; leadership and management; and media relations. According to a recent survey, more than 90 percent of CAPP graduates attribute the credential to helping them achieve greater personal satisfaction, acquiring knowledge to do their job better, developing a broader peer network, and earning greater respect within their organizations. More than 75 percent attribute CAPP to increasing the likelihood of attaining a promotion. For more information about the CAPP program, visit parking.org/capp. Victor Alfieri, CAPP, Senior Manager II, SP+, Chicago, Ill.
Jeff Barnes, CAPP, Interim Director Parking Services, Kansas State University, Manhattan, Kan.
Jennifer Carroll, CAPP, Regional Operations Manager, Republic Parking, Columbia, S.C.
Raymond J. Humbert, CAPP, Associate Director, Parking and Transit, Arizona State University, Tempe, Ariz.
Michael Kennon, CAPP, Assistant Transportation Director, NC State University, Raleigh, N.C.
Robert J. Lalor, CAPP, Vice President, Citipark, Martinsville, N.J.
Alexander Latsko, CAPP, Chief Operating Officer, Ambassadors Plus, Little Rock, Ark. Thomas D. Leathers, CAPP, Parking Division Administrator, City of Durham, Durham, N.C.
John M Mason, Jr., CAPP, Project Manager, HUB Parking Technology, Warrendale, Pa.
Arnold “Gabe“ Mendez, CAPP, Assistant Director, Arizona State University, Tempe, Ariz.
Brittany Moore, CAPP, Assistant General Manager of Parking, City of Greenville, Greenville, S.C.
Chris Perks, CAPP, Camden, N.J.
Vanessa (Solesbee) Schnipkoweit, CAPP, President, The Solesbee Group, Denver, Colo.
Lesli L. Stone, CAPP, District Manager, First Transit Inc., Atlanta, Ga.
Todd Tucker, CAPP, SVP of Market Development, ParkWhiz, Chicago, Ill.
Michael Walsh, CAPP, Regional Vice President, ParkWhiz, New York, N.Y.
Benjamin Wesley, CAPP, Parking Director, SP+, Miami, Fla.
Jonathan Wicks, CAPP, Consultant, Walker Consultants, Los Angeles, Calif. 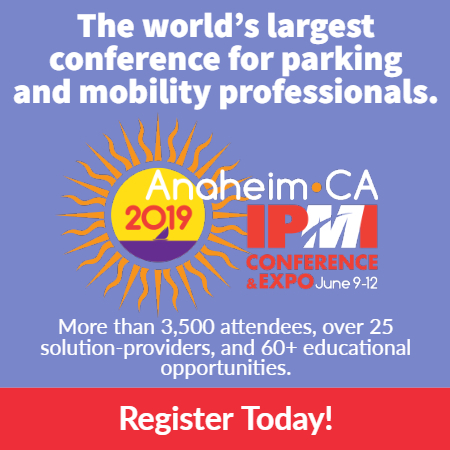 The International Parking Institute is the world’s largest association of parking professionals and the parking industry. www.parking.org.